Save an enormous amount of time each month by automating the reordering process. Compute the sales forecast for thousands of products in minutes! Having more than 2000 variants can be a pain killer. We struggled with excel files and we suffered every day! 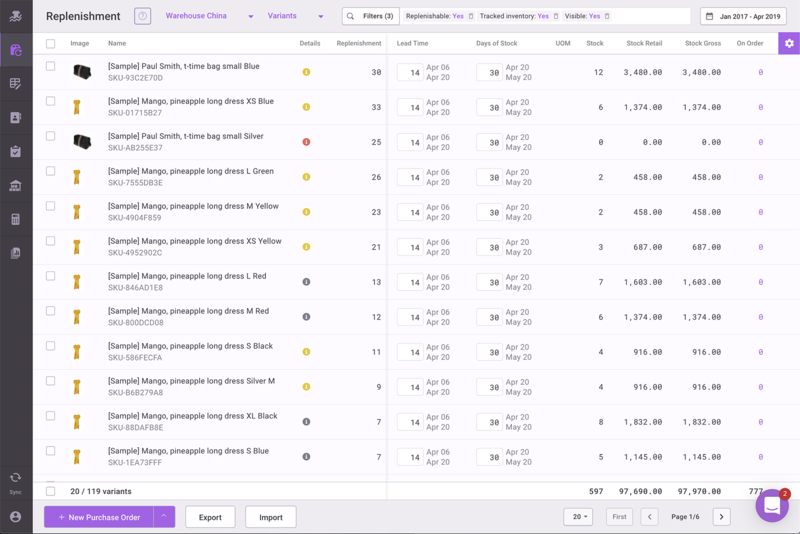 With inventory planner being able to create PO based on automatic replenishment forecast we are extremely happy again. Replenishment report shows products that need to be reordered and quantities to reorder. For each product you will find the estimation of potentially lost revenue due to being out of stock. To compute accurate forecasting many factors are taken into account, such as seasonality, out of stock periods, average sales, trends, product lead time, and others. Create purchase orders with the right quantities in one click using the sales forecast. 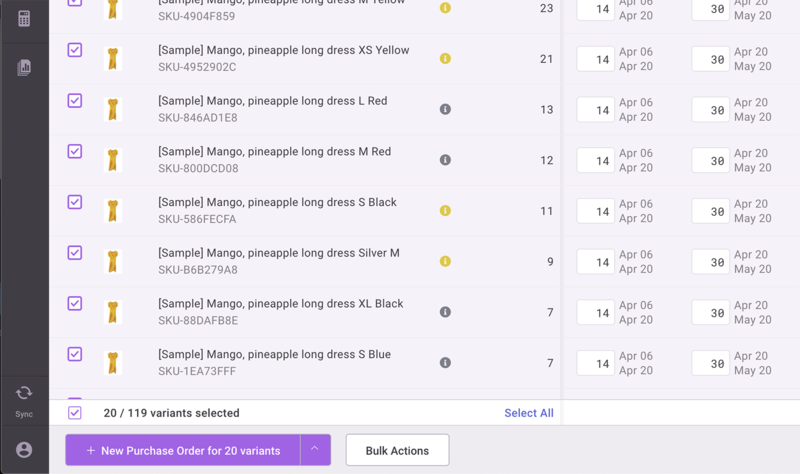 Select some products in the report and use bulk actions to generate the purchase order with these products. Once a purchase order has been created, we will adjust replenishment suggestions accordingly. Based on the sales forecast the Inventory Planner estimates the moment when product is likely to sell out. It's important to reorder product in advance because of delivery delay. 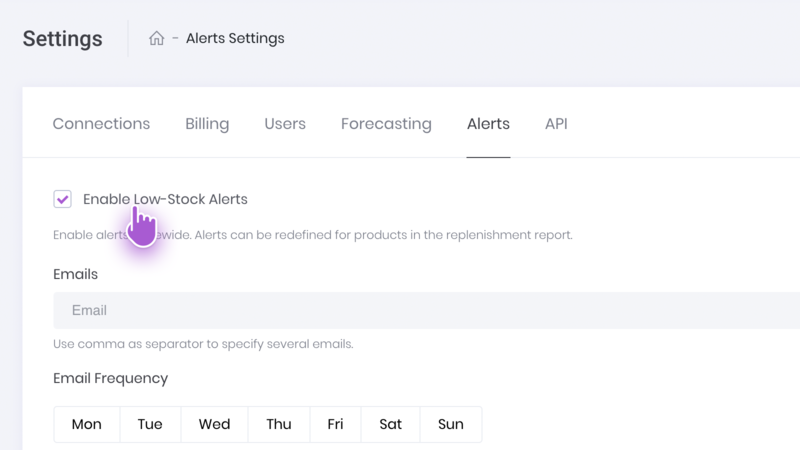 Inventory Planner sends you an alert when it is time to purchase more of the product so that you won’t lose any sales in the meantime. Replenishment report can be used for individual products and also for aggregated sales of categories, brands, or vendors. 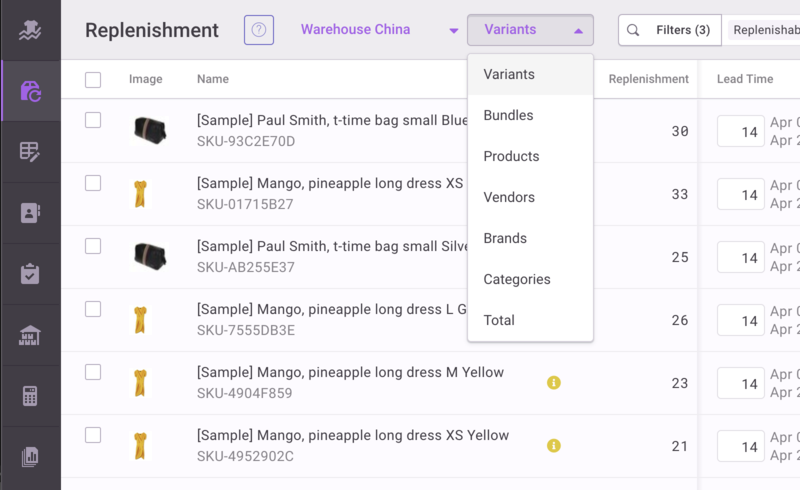 Forecasting for group of products gives you a top level overview of how much inventory you need to carry for the next season.